In our beauty salon our fully qualified beauty therapist offers a wide range of treatments from massage to waxing to provide the perfect place to be pampered in a soothing atmosphere. Our beauty therapist is fully qualified to HND level and has the appropriate qualifications and/or certificates for all treatments offered within the salon as well as years of salon experience. 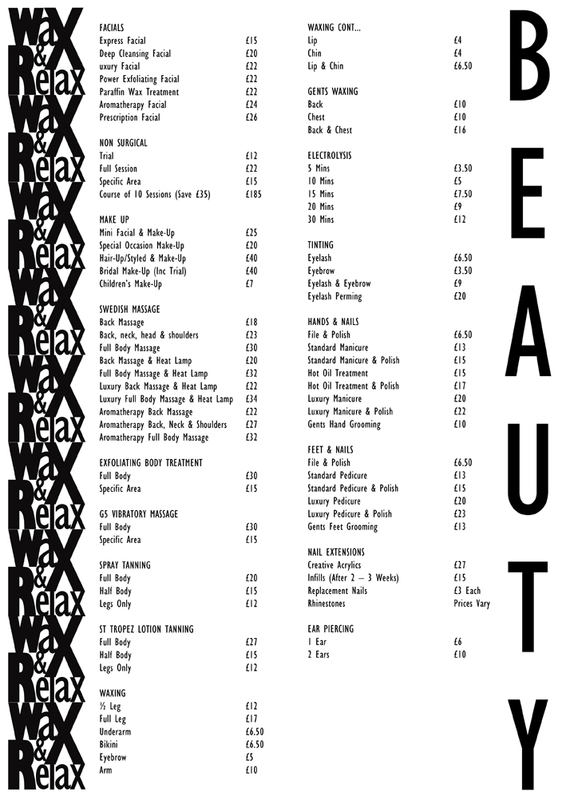 Download a copy of our beauty treatment list here.